How do you define courage? Are you a fearless type of person? 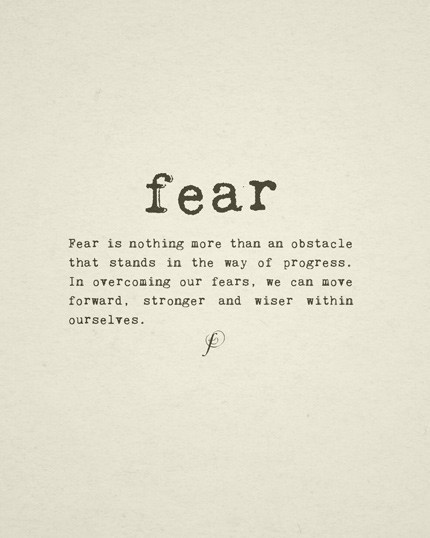 Having the strength to face something that frightens you, this is a quest we all face from time to time. Maybe at times it is much easier to be brave, when what we must face has been forced upon us. At a time when the Universe is asking us to choose, live, die or continue to sink into the underbelly of your forgotten life, rising to the power of our Soul may seem to take less effort. Having the support of a power that is greater than ourself and knowing we can trust this greatness, is much more comforting than if we had to make the decision solely with our own free will. Courage said the lion, but is this strong, resilient and powerful creature truly as courageous as it seems, or is it just fairy tales that tell us so. Stepping out into a world unknown may be as frightening as fear could ever be for some of us. Our ego constantly plays out compulsive negative scenarios in our head, so much that the pain and agony we feel behind our eyes is excruciating. Everything the ego has to say is opposing, offensive and rejecting, it’s pessimism has a way of making us feel as if we are loosing our mind entirely. There is nowhere to run or hide, taking a break from the rejection of our dreams, is only yet again another fantasy. Fearlessness was born within us, our soul knew nothing of fear when it was born into this life experience, it is only through the conditioning of our mind that we become to know fear as our enemy. If there is a war raging inside of you? Is it a world unknown to you that you are trying to step into but your trepidation seems to always pull you back to the old? Hesitation comes when we need it, just don’t let it control you. Fight against the dread of your ego and try with all of the power within you, to trust your intuition. You will know when the time is right, you won’t be able to push aside your dreams any longer, the pain of a shrunken soul is far greater than any fear you think you can not face.